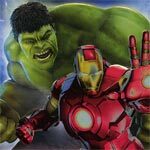 Iron Man & Hulk: Heroes United is yet another failed attempt by Marvel in the animated feature department though younger viewers might enjoy it well enough, there’s not much here for an older audience with an amateurish screenplay filled with lousy dialogue. The Blu-ray at least offers adequate video/audio transfers while the bonus material is, at best, throwaway. Plot Outline: Marvel makes cinematic history with the most unexpected team-up in the universe! 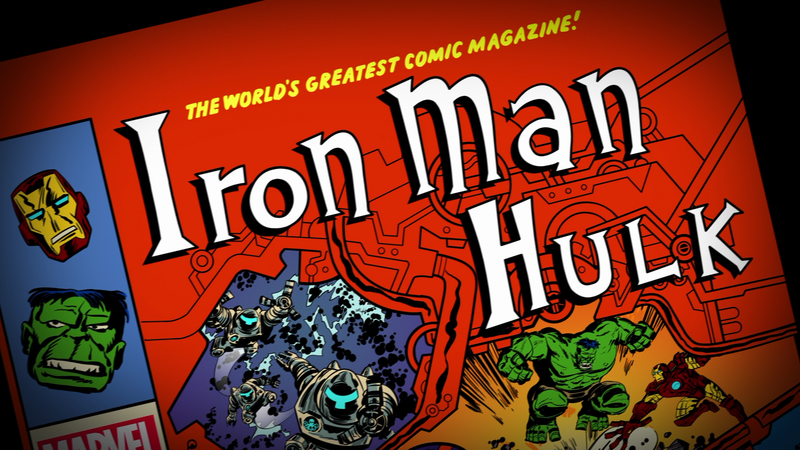 Joining forces for the first time ever, Hulk’s brute strength and Tony Stark’s high-tech brainpower come together to face off against the ultimate enemy. “Zzax”, a seemingly invincible, energy-devouring monster, threatens to destroy the planet, Marvel’s inlikeliest pairing of Avengers is mankind’s only hope. Alone, neither can defeat the awesome power of Zzzax. As a duo, they just might have a chance – if they can find a way to work together without smashing heads before time runs out! 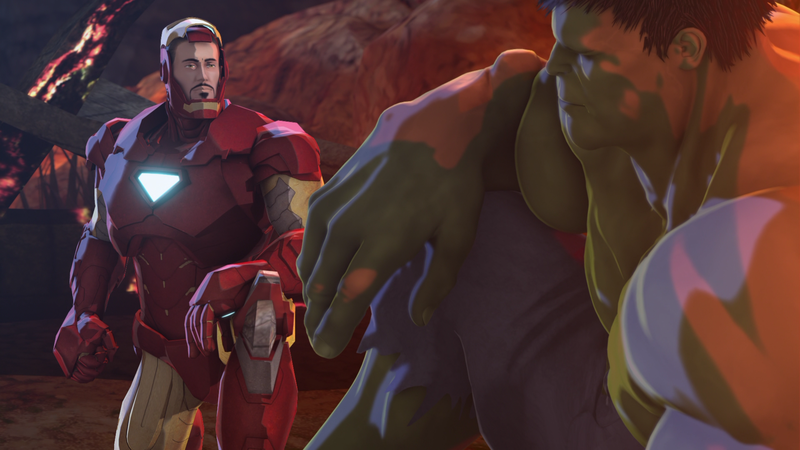 Quick Hit Review: Marvel might be the king of live action superhero movies but generally their animated works stink and the latest, Iron Man & Hulk: Heroes United, is no exception. First, the decision to go CGI wasn’t the best idea as it just doesn’t look right but furthermore, the story is half-assed and on the whole, this feature, despite being only 70-minutes, was a chore to get through. Still, probably younger viewers will enjoy. This release comes with a glossy, embossed slip cover. Inside is the standard DVD Copy and a download code for the Digital Copy. Marvel Team-Up With Ryan Penagos and Joe Q (11:37) is an interview between Marvel’s CCO (Joe Q) and the Executive Editorial Director for Marvel Digital Media Group as they chat about the Marvel universe and comic books. 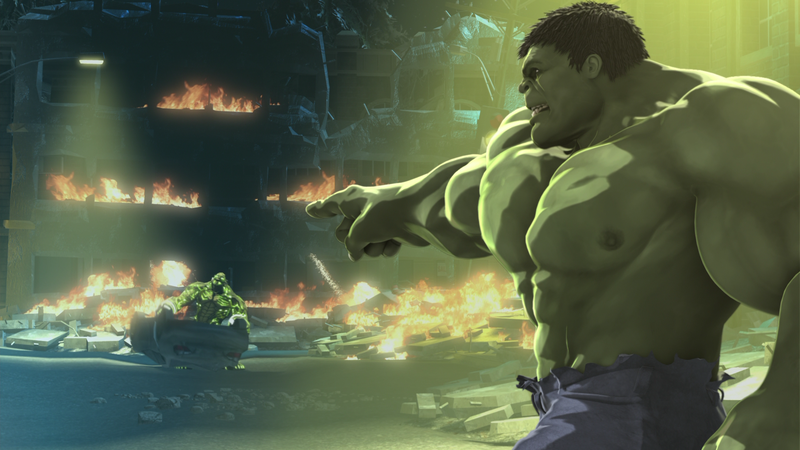 Marvel Mash-Ups (6:06) are funny bits with the “Incredible Hulk” cartoon. 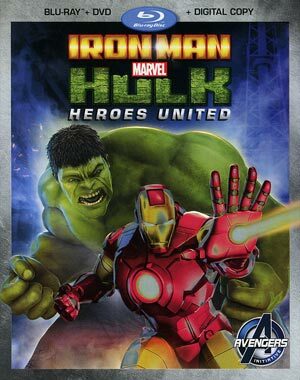 Iron Man and Hulk: Heroes United arrives on Blu-ray presented with a 1.78 widescreen aspect ratio and a clean-looking 1080p high-definition transfer. Not overly surprising, the picture here looks clear and colors are vibrant throughout. However, there is many instances of banding. The 5.1 DTS-HD Master Audio isn’t anything amazing but more than effective showing off crisp and clear dialogue levels while the action elements shows some depth though it does come off as flat and more centrally located. No, it won’t knock your socks off yet still is more than adequate. Overall, Iron Man & Hulk: Heroes United is yet another failed attempt by Marvel in the animated feature department though younger viewers might enjoy it well enough, there’s not much here for an older audience with an amateurish screenplay filled with lousy dialogue. The Blu-ray at least offers adequate video/audio transfers while the bonus material is, at best, throwaway.